The White House Correspondents Dinner has previously been hosted by the likes of Stephen Colbert, Conan O’Brien, and Jimmy Kimmel. 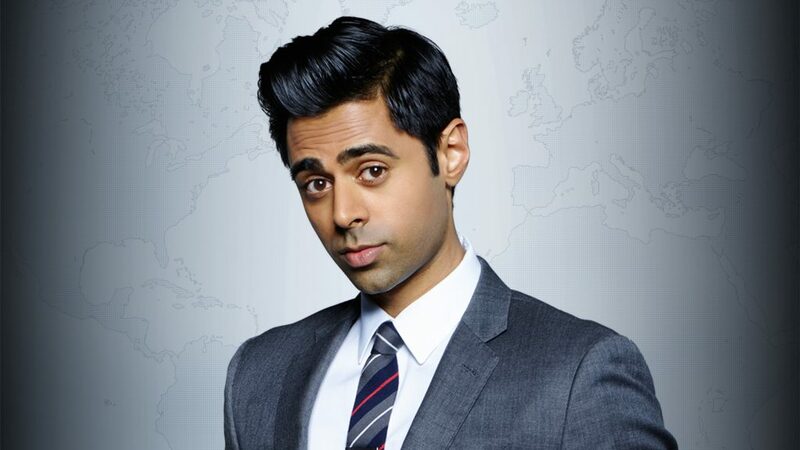 The first of Donald Trump‘s presidency was however hosted by an upcoming comedian, Hasan Minhaj. He is an Indian-American comedian and actor who rose to prominence as a senior correspondent of The Daily Show. Hasan was born in Davis, California, USA on September 23, 1985. He has also grown famous for his takedowns of Trump policy, particularly about the proposed Muslim ban and eventual two travel bans. During the Dinner, he roasted the president in absentia and referred to him as the liar in chief. His speech was nonetheless well received as he was given a standing ovation at the end. Minhaj was born in Davis, California. His interest in comedy was birthed when he was at the University of California, Davis after seeing Chris Rock‘s Never Scared. He majored in political science. With a growing interest in comedy, he travelled to San Francisco to perform and success started streaming in. In his winning streak, he took the 2008 award for Wild 94.9’s Best Comic Standing competition after which he acted as an opening act for top shots like Katt Williams, Pablo Francisco, and Gabriel Iglesias. He worked part-time for the website Ning and wrote comedy with the experience. Minhaj would later move to Los Angeles in 2009, to perform on NBC’s Standup for Diversity, on which he was a finalist. Taking some steps further, he made some TV appearances. He appeared in the sitcom State of Georgia as Seth in 2011 and also starred on the MTV hidden camera show, Disaster Date. His videos on YouTube got him a spot on Failosophy. His other TV credits include appearances on Watsky’s Making an Album, The Wanda Sykes Show, The Legend of Neil, Money from Strangers, Arrested Development, @midnight on Comedy Central and Getting On. He voiced Rabi Ray Rana in the video game Far Cry 4 in 2014 for which he was nominated for a Behind the Voice Actors Award for Best Vocal Ensemble in a Video Game in 2015. Minhaj also hosted Stand Up Planet in 2013 which was sponsored by the Bill and Melinda Gates Foundation and a YouTube series, The Truth with Hasan Minhaj. He is represented by Haven Entertainment, WME, Hansen Jacobson and his inspirations were Kevin Shea, W. Kamau Bell, and Arj Barker. Minhaj is very talented and skilled. He has managed to put together his experiences as part of an immigrant family and the challenges he faced while growing up in a predominantly white town in his one-man stand-up comedy special, Homecoming King. The show debuted Off-Broadway in October 2015, and on NetFlix in May 2017. He joined The Daily Show with Trevor Noah in November 2014 and became known as a senior correspondent. Minhaj has also been a speaker for radio and television Correspondent Dinner. Hasan has made quite a success within a short time in his career and more are still coming his way. He has an estimated net worth of $3 million. Minhaj is clearly not gay but has been a public advocate for LGBT rights. In his letter to academic Reza Aslan to fellow Muslims, he encouraged them to support legalization of gay marriage as fellow members of minority communities in the U.S. He is of the opinion that joining forces with the marginalised communities of gay people even when you disagree with them, is not just the right thing but the Islamic thing to do. 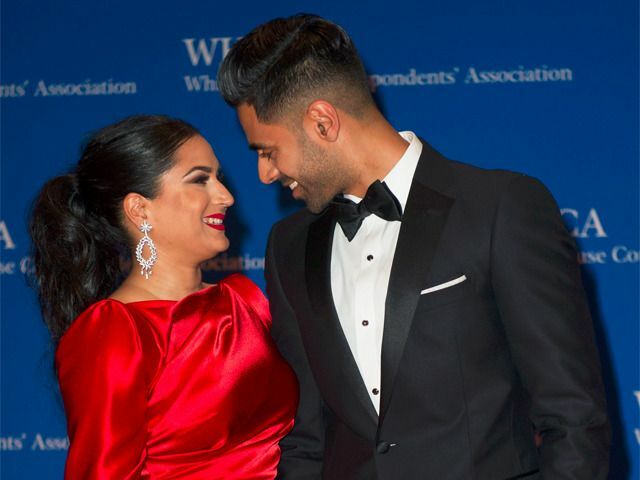 While in college, Minhaj met and started dating his then-girlfriend, Beena Patel, who is from a Hindu family and they became college sweethearts. In 2015, he broke the barrier of religion and society and married her after dating her for a long time. Beena has gone ahead to become a force in Minhaj’s life. He described himself in a 2016 The New York Times article as a bachelor with Scarface photos in his home but that changed when he married Beena and moved in with her. What does Beena do? According to her LinkedIn page, she received a Doctor of Public Health from UCLA in 2013. Her dissertation on the implementation of the West Los Angeles HPACT has been recognized nationally and replicated as a best practice across the country. She works as a management consultant at MedAmerica after leaving her job in LA, where she worked with homeless patients giving them a voice. Beena strives to improve the quality of care and delivery through patient-centered innovations. He is an American by nationality and of Indian ethnicity and belongs to a Muslim family originally from Aligarh, Uttar Pradesh, India. His parents are Najme Minhaj, a chemist, and Seema Usmani, a doctor. They immigrated to Davis, California before his birth. He lived with his father for the first eight years of his life while his mother went back to India to complete medical school. It was during this period that his sister, Ayesha Minhaj was born. He was 8 when she was introduced to him for the first time and he joked about the strangeness of it in a skit. Minhaj and his sister are an impressive pair of siblings and both have found success in their chosen careers. While one is telling jokes, the other is arguing cases in court. Ayesha is an attorney based in San Fransisco. She is a litigation associate at the Palo Alto, California, office of Skadden, Arps, Slate, Meagher & Flom LLP, and Affiliates, a top international firm based in New York City. She graduated from the University of California, Los Angeles, with a bachelor’s degree in political science. Upon graduation, she moved to the Bay Area where she got a job as a news associate at NBC News. Ayesha went back to school after one year in journalism and obtained her Doctor of Law (J.D.) from the University of Pennsylvania Law School. She may still be unmarried as there is no wedding band on her finger to say otherwise. He is 6′ (1.83 m) tall.